The 63rd Champions League final is here, by two of the four most successful teams in European history. Liverpool Football Club have won an English record number of European Cups with five while Real Madrid has won an incredible 12 – the equivalent to the number of times all English clubs combined have lifted the Champions League trophy. The last time the Anfield club reached the final of the competition was in 2007 which they lost 2-1 to AC Milan. This is it. Real Madrid’s chance of winning what would be a historic third straight Champions League title. Los Blancos get to this Final as healthy as they can be but Liverpool will surely make things tough for Zidane’s men. Trent Alexander-Arnold, Dejan Lovren, Virgil van Dijk & Andy Robertson to form the defence. Klopp will be without Alex Oxlade-Chamberlain and Joe Gomez for the final, with both players, also ruled out of the 2018 World Cup in Russia as a result of their respective knee and ankle injuries. Joel Matip will also miss the final with a thigh injury. Tactically a lack of defensive midfielder might leave Jordan Henderson and Milner, having too much to deal with in the midfield facing off the likes of Kroos and Modric. It’s not an overstatement to say Virgil van Dijk has transformed Liverpool’s defence since his arrival in January. But the others in the backline also deserve credit for the way they’ve stepped up their game since October. Collectively, they have withstood onslaughts from Manchester City and Roma en route to Kiev and there will be one more from Zinedine Zidane’s team. Can they rise to the occasion once more and concentrate to keep Real’s incredible attacking trio at bay? Liverpool’s attacking qualities pose exactly the kind of threat that has caused Madrid’s defence several problems this season. Zinedine Zidane has a tough choice to make with all his star players being fully fit for tomorrow night. It would be fitting for him to start the same front three who have won him two consecutive Champions League finals – the prolific trio of Benzema, Bale and Cristiano. Marcelo could have a tormenting night coming off against Mo Salah. Opponents have been taking advantage of open spaces in the left side of Madrid’s defence all season. Paris Saint-Germain’s opening goal in the Champions League round of 16 came from a right-wing cross. Juventus almost overturned a 3-0 deficit in the quarterfinals by attacking down that side. Bayern Munich right-back Joshua Kimmich raided forward unmarked to score the opening goal in both legs of the semis. In La Liga, both Barcelona and Atletico Madrid successfully targeted that area too. 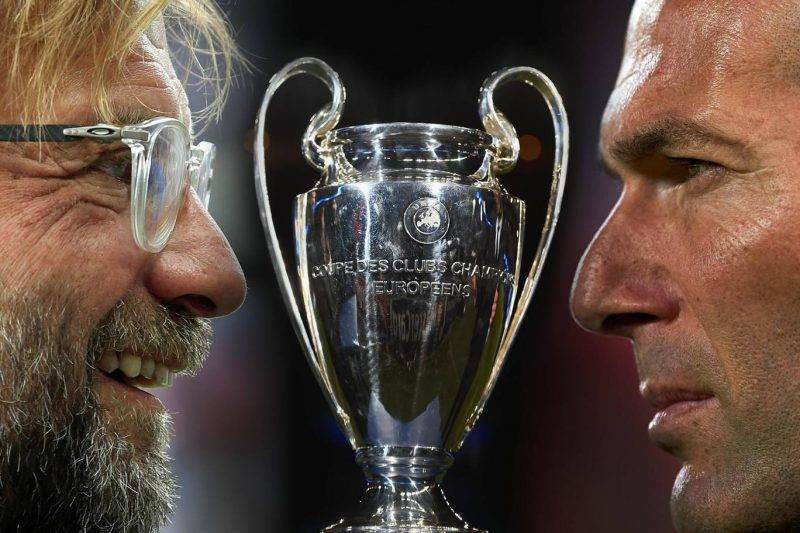 This promises to be a cracker of a game with so many wonderful attacking talents of both teams likely to exchange attacks for attacks.. Liverpool is the slight underdogs and their concentration to keep off Real’s relentless attacking trio will be tested throughout the game. Real Madrid has plenty of experience after winning back-to-back UCL trophies, but you get the sense of an upset in the air if you throw-in couple of defensive errors and all because of one man-Mohammad Salah. Tribe Predictor says 3-2 to Real Madrid, with Sergio Ramos scoring the winner deep into the second half with a towering header from corner ! !